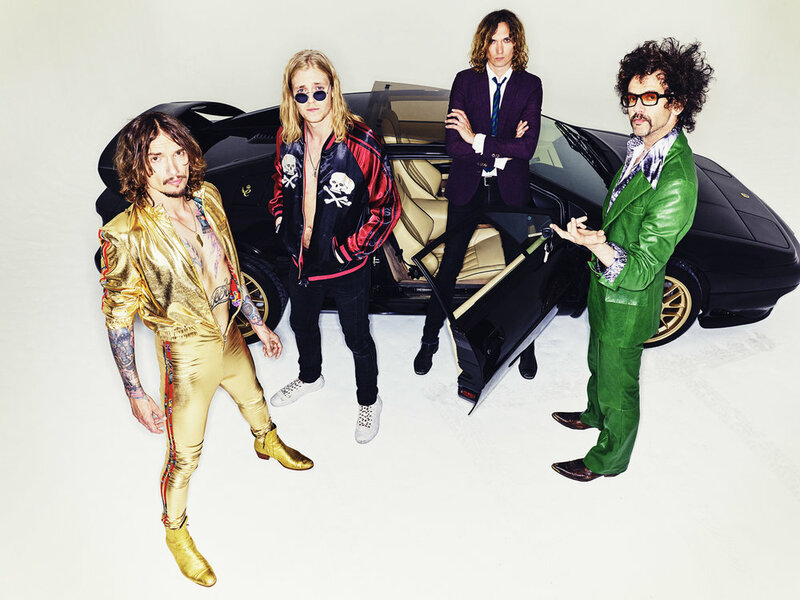 English rock band The Darkness are bringing their Tour de Prance to North America this spring. Known for their infectious energy and electric performances, the award-winning, platinum-selling quartet—Justin Hawkins (vocals / guitar), Dan Hawkins (guitar), Frankie Poullain (bass), Rufus Tiger Taylor (drums)—released their fifth album Pinewood Smile in October 2017. The epic rock and roll collection ranges from the autobiographical to the emotional, with a little bit of feel good bliss and anthemic vision in between. On the upcoming North American leg of the Tour de Prance tour, which kicks off on March 29 in Los Angeles, The Darkness will be joined by special guest Diarrhea Planet and will bring their not-to-be-missed show to an extensive list of stages around the U.S. and Canada.